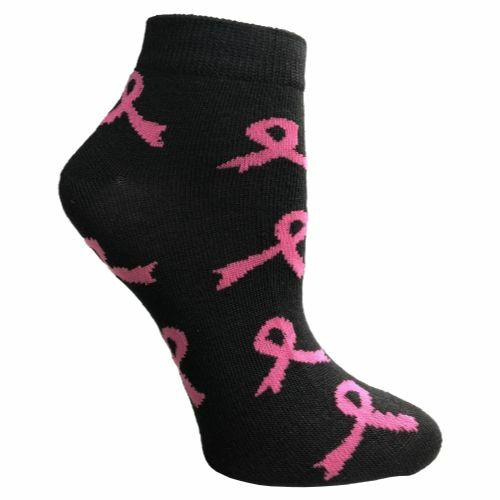 60 Pairs Womens Breast Cancer Awareness Socks, Pink Ribbon Value Pack (Ankle Socks, 60 Pairs (Ankle Socks) at low wholesale prices. 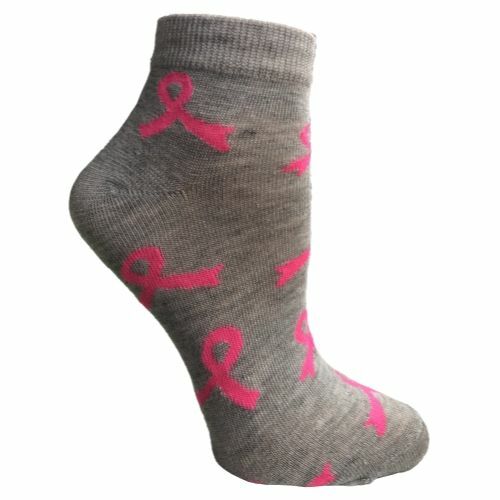 Socksinbulk.com offers Breast Cancer Awareness Socks at bulk discounted prices. Comes in either crew length or ankle / low-cut length for various activities including soccer, softball, tennis, running, or everyday wear. 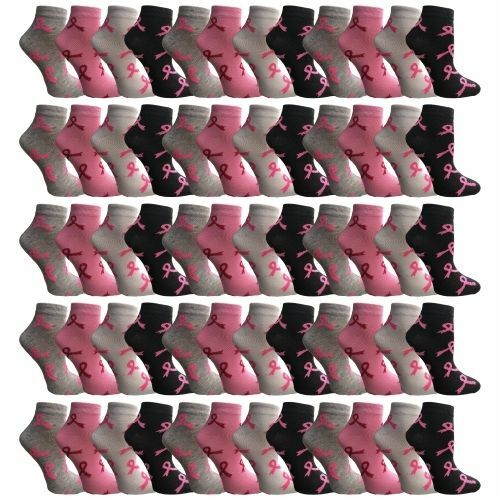 Each pack includes 60 pairs of assorted colorful socks for women. Many assorted colors with pink ribbon print. Get colors including red, black, white, pink, and more! One size fits most women. 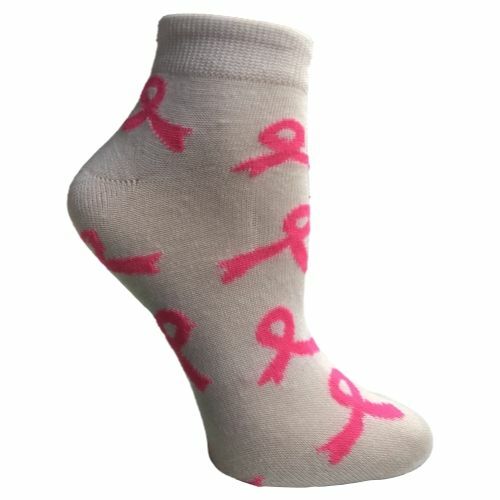 Socks size 9-11 will fit womens shoe sizes 4-10.